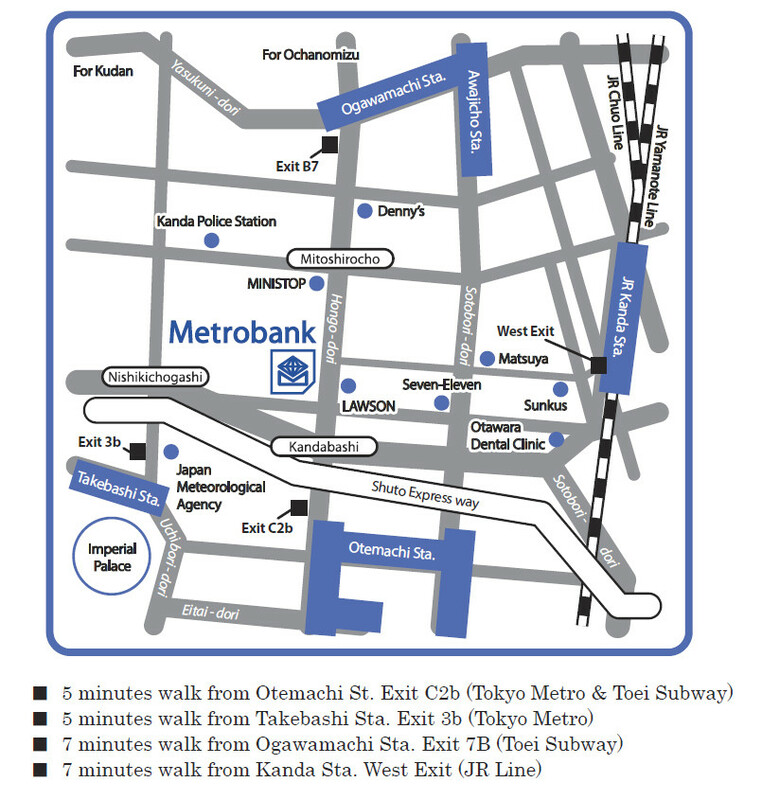 Welcome to the Metrobank Tokyo branch and Osaka sub-branch general questions and answers section. Each year we update the answers to reflect the latest changes in our remittance procedure. These questions and answers came from remitters like you. We hope you find them helpful and informative. Please let us know if you encounter any problems or have suggestions. To send a comment, go to our comments and feedback by email page. Please use the word FAQ in your comment. If you don’t find the answer to your question below, please call our office. Q: How to remit money to Philippines? A. Listed below are the easy steps in sending money to the Philippines. Register as a remitter with Metrobank Tokyo Branch or Metrobank Osaka Sub-Branch. Please click here to know how to register. Upon receipt of your registration confirmation, you may choose any of the following method in sending your remittance payment. Easy Postal Remit Card ⇔ EASY WAY TO REMIT WITH A LOW CHARGE. Please click here. Apply for Easy Postal Remit Card (Furikae Haraikomi Senyo). Using the Easy Postal Remit Card, send or transfer your money through Japan Post Bank’s ATM. Applicable charge is shouldered by Metrobank. Service / process hours is from 08:00 to 24:00 daily. Metrobank Easy Transfer Service (METS) – Please click here for details. Please click here to know about the Proper Way of Bank Transfer. Proper way of bank transfer should be observed in order to avoid delay in process. Transfers amounting to JPY 1,000,000 and above should be confirmed to Metrobank and required information should be provided by the remitter. We will receive your money on the same day if transferred before 3:00 PM. Please click here to view sample form. 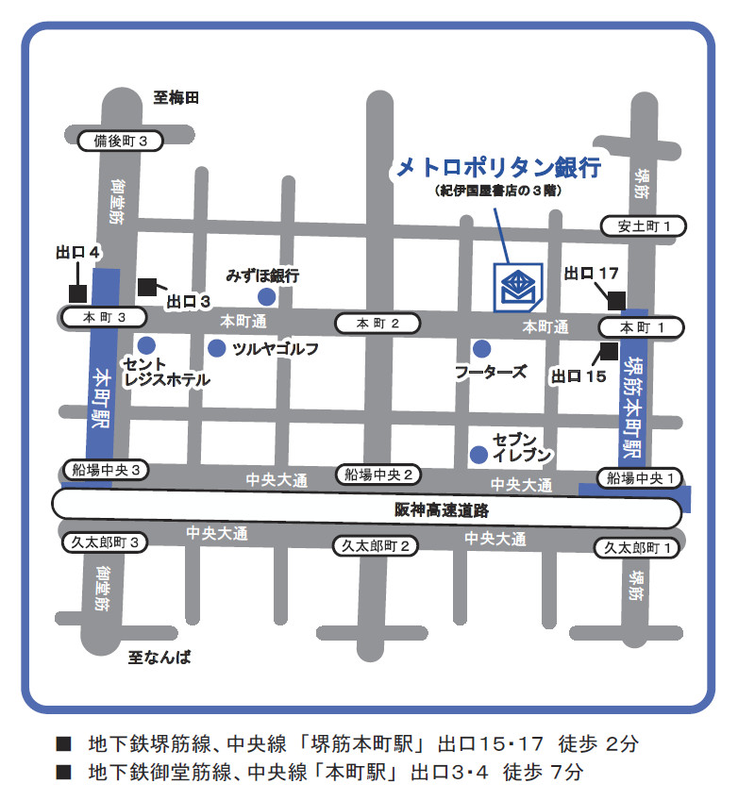 Please come visit our Tokyo Branch or Osaka Sub-Branch to transact over the counter. 3. Receipts will be sent to your registered address. Registration can be done in two ways. by visiting our branch personally or by mail. You will be required to fill-out our New Registration Form and present your valid ID to be photocopied and verified by our bank staff. For foreigners, we require Alien Registration Card. Remitter: Name, Address, Phone No, Birth date and others supported by valid ID. Please bring your valid ID and after filling out our form, you will be issued your PIN Card immediately and you can send money at the same time. After we receive the application with the photocopies of all the necessary supporting identification cards/documents, we will register your name and relevant information and issue your non-transferable PIN number. PIN Card and the details of the registration will be sent by registered mail thereafter. You can start remittance after you receive your PIN Card. A: Additional Beneficiary Registration or amendment of existing beneficiary/remitters information can be done in two ways. You can either visit our branches or by mail. You will be required to fill-out our Additional/Amendment Registration Form with your valid ID. For Japanese, Drivers License, Residence ID, Health Insurance Card etc. Please bring your valid ID and after filling out our form, you can get your additional beneficiary’s number and you can send money to the new beneficiary at the same time. For amendment, we will amend your record right after we receive the application. (Front and Back of the Alien Registration Card is the must. After we receive the application with the photocopies of all the necessary supporting identification cards/document, we will register your new beneficiary. The details of the registration will be sent by mail thereafter. You can start to remit your money to the new beneficiary after you receive our mail. Please be sure to indicate the correct beneficiary number in making your remittance to avoid mistake or delay in processing your transaction. Q: How to Ginko Furikomi? A: Please follow the following steps. *It is necessary for you to register before you send the money to us. Call Tokyo branch or Osaka sub-branch. Please tell your name, PIN number, beneficiary and amount to our operator. Please fill out the payment slip/remittance application and give it to teller. 3. Where to transfer funds? Foreign exchange rates to be applied to overseas remittances may be changed by Metrobank without prior notice, depending on the market fluctuation. Early Morning exchange rate is shown until 10:30. After 10:30, Today’s exchange rate is shown. The JBA Customer Relations Center is operated by the JBA as a contact point for receiving consultations and inquiries about banks and for receiving your views or complaints about banks. Consultations and inquiries, etc. are free. Customers whose disputes with a bank seem insurmountable should use the “Mediation Committee”. For more information, contact the JBA Customer Relations Center. * Connect at local call rates from ordinary phones and public phones. • Hours of opening: 9 a.m. to 5 p.m. The JBA is a designated dispute resolution institution under the Banking Act and Norinchukin Bank Law.